Jesse Eisenberg dropped by The Tonight Show last night to discuss his role in Batman v Superman: Dawn of Justice with Jimmy Fallon. 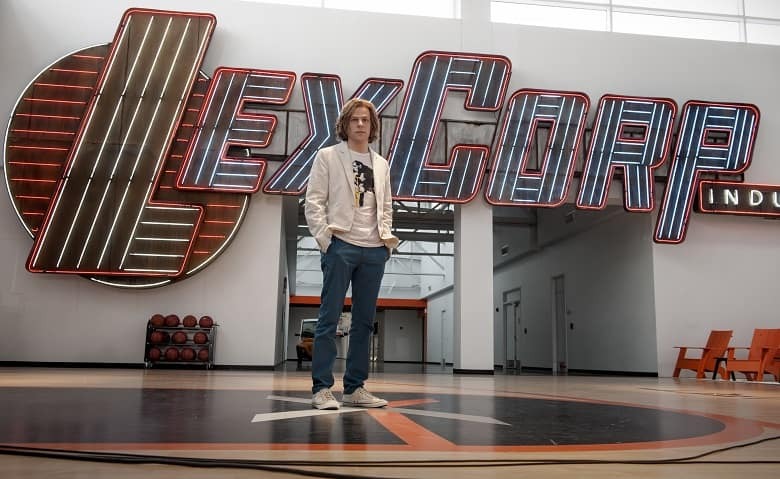 During the interview, the actor was asked about his basketball skills, since Lex Luthor has his very own basketball court inside his company in the movie. You can watch the hilarious interview right below. Eisenberg was also a guest on the latest episode of AOL Build, where he talked about what’s in store for Lex in the future of the DC Extended Universe, how he approached the role and more. This interview is a tad more serious than the other one, and it’s also much longer, but it’s definitely worth checking out if you’re a fan of the universe. Batman v Superman: Dawn of Justice opens in theaters on March 25, 2016, meaning that you don’t have to wait too long to finally see Eisenberg as Lex Luthor.